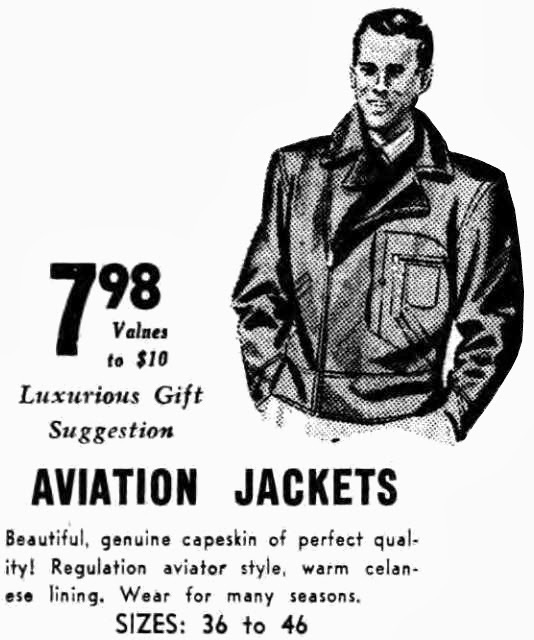 Aviation Jacket ad from 1940. Not surprisingly, made of capeskin leather. I find it interesting the asymmetrical and sloppy ways the lapels on these jackets are often illustrated. I guess it's like how sheepskin lined jackets are usually drawn with the tails blowing in the breeze to show the lining. 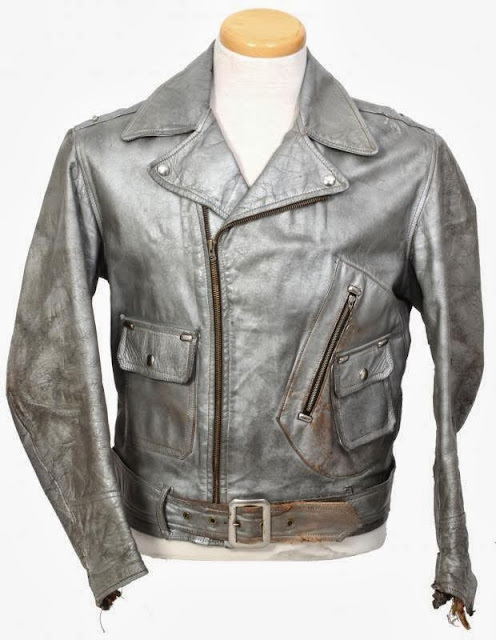 In person, the differences would be clear, but from the advertising picture, the overall details are extremely similar to D-pocket motorcycle jackets made twenty years later. Early 1950s British Mfg. Co. D-Pocket motorcycle jacket. 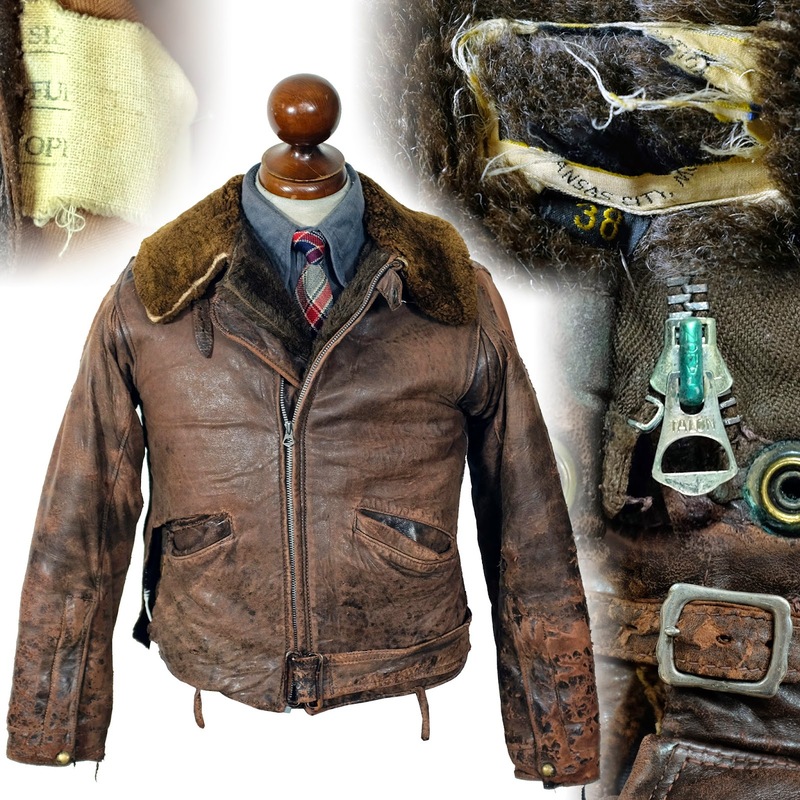 These Canadian made jackets were close copies of Harley Davidson Cycle Champ motorcycle jackets, which owed a great deal of their design influence to these aviation styles.